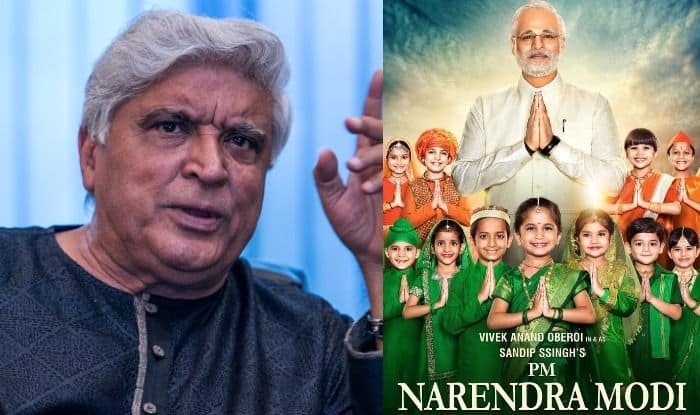 Javed Akhtar revealed that he has not penned the lyrics for PM Narendra Modi biopic and also said that he was in shock to find his name on the poster of the film. The trailer of PM Narendra Modi biopic released on Thursday and received mixed reviews. In the credits list, veteran lyricist Javed Akhtar‘s name featured on the lyrics section. Earlier today, Akhtar denied writing songs for Omung Kumar B directorial film PM Narendra Modi. Akhtar took to his Twitter handle and said that he was in shock after seeing his name in the credits of the film’s trailer. “I am shocked to find my name on the poster of this film. Have not written any songs for it,” Akhtar tweeted along with the snapshot of the trailer’s video in which his name was mentioned among several other artistes in the lyrics category. The trailer of PM Narendra Modi, based on the life of India’s Prime Minister Narendra Modi, was launched on Thursday. Talking about the film being termed as a propaganda film, Sandip said, “We are filmmakers and we did our job by making the film. How politicians are going to respond to that is up to them. Now the trailer is out. I know that people are constantly talking on the point if it is a propaganda film, but let the audience judge after watching it. As makers of the film, we are focusing on how we are releasing the film. We are trying to present a true story in an honest manner to our audience. We have made the film with honesty”.